Coventry University Business Administration graduate Cindy Chee, discusses her journey of how she got from being a Coventry University graduate to becoming a Communications Director for one of the largest and luxurious boutique chains – Cartier in Hong Kong. Cindy explained that the life lesson Coventry University taught her was that experience gains credibility in the workplace. 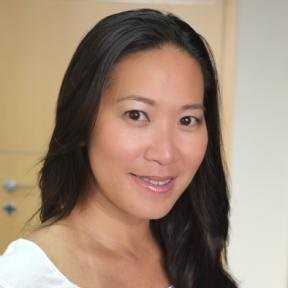 Over 14 years, Cindy has held a number of senior roles at luxury brand firms including S.T. Dupont, Baume and Mercier, Richemont Commercial Co. Ltd. and Jaeger LeCoultre. It was working for these premium companies that she was able to practice applying communications and marketing strategies, before starting at Cartier in 2016. Determination to reach your dreams is important. I didn’t divert or dilute my dream, although the path towards this goal was never an easy, smooth one. Anyone can be easily carried away to new priorities or ideas, but I was too stubborn with my personal goal. “After I graduated and started looking for jobs, I discovered that it was not an easy path to join the luxury segment. I had no clue on where to start. In the 1990s there were no luxury houses based in Hong Kong, so I joined the international marketing division of a local firm that had a good base of international clients. I had the opportunity to work in another division called the Direct Marketing Department, which served the Cathay Pacific’s Marco Polo Club members by operating their loyalty programs. We provided personal customer services to prestigious members who were frequent flyers. We also sourced exclusive premium gifts to reward them. Cindy’s key responsibilities include overseeing and managing the brand equity and dealing with publicity campaigns, the media and events, as well as managing a team of 15 people. “This job brings me great satisfaction. I am glad to be working for a very beautiful brand, with deep history, and to have the opportunity to be part of the foot print of this brand on managing its brand equity. Cindy Chee has climbed her way up the luxury brands chain since graduating in 1993. She now directs communications for Cartier in Hong Kong and Macau, a company infamously referred to as ‘the jeweller of kings and the king of jewellers’ by King Edward VII. Advice and Tips, Guest Blogs, International, Join Us, Real stories, Why Cov Uni? ← What is UCAS and how does it work?